DB Trucking is dedicated to providing excellent service to the petroleum industry in a safe, efficient and economical manner. 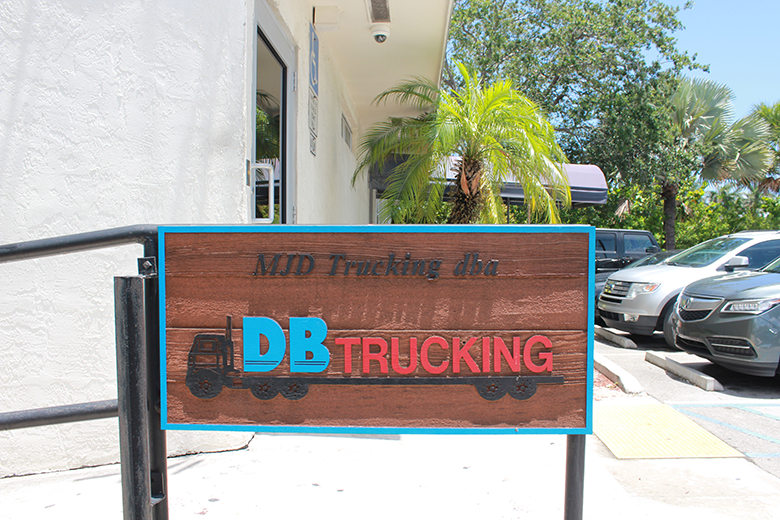 Today, MJD Trucking, Inc. d/b/a DB Trucking continues to be a privately held company and a competitive force in the Florida petroleum transportation marketplace. DB Trucking operates under Federal D.O.T. permitting in accordance with title 49 of the U.S. Department of Transportation regulations. The required insurance limitations are in force with a comprehensive safety program encompassing the areas of orientation, compliance, training and evaluation. DB Trucking operates a fleet of late model Kenworth tractors. Combined with State of the Art Custom and Polar Petroleum trailers equipped with the latest in technology. Currently, the fleet of twenty-five petroleum units, service the needs of various Jobber and Major Oil Companies throughout the Tampa, Orlando and Pt. Everglades markets. In addition, we track and monitor our fleet with Silent Passenger. Silent Passenger is a GPS monitoring system enabling us to track our customers’ commodity. We also offer Electronic Data Transfer (EDI). Eliminating communication delays and ensures the timely delivery of information. DB Trucking's capability of individuality and total independence in the decision making process enables our employees and our company to experience maximum growth potentials. The company is capable of reacting immediately to changes in the highly competitive marketplace. Our planned rate of growth continues to be 10-15 % annually. Financially, MJD Trucking, Inc. has long-term market stability, linked with multi million dollar credit lines creating a stable and healthy combination. Providing excellent service to the marketplace enables the company to be represented as a responsible and attractive company to those who request and or provide a service to the industry. Throughout the years, MJD Trucking’s has maintained seven figure equipment credit lines backed by its’ lenders to ensure our ability to meet the needs and growth of our customers. To date, all accounts are rated excellent and additional funding is available.